On January 24, 2015, the AICPA Auditing Standards Board (ASB) issued four auditing interpretations to address issues related to the SAS No. 126, The Auditor’s Consideration of an Entity’s Ability to Continue as a Going Concern (Redrafted) (AICPA, Professional Standards, AU-C Section 570). In 2014, the FASB released Accounting Standards Update (ASU) No. 2014-15, Presentation of Financial Statements—Going Concern (Subtopic 205-40): Disclosure of Uncertainties About an Entity’s Ability to Continue as a Going Concern. The standard provides guidance about management’s responsibility to evaluate whether there is substantial doubt about an organization’s ability to continue as a going concern and to provide related footnote disclosures. Question: AU-C section 570 refers to the phrase substantial doubt about an entity’s ability to continue as a going concern but does not define it; how should an auditor apply this term? Response: AU-C section 700 requires the auditor to use the applicable financial reporting framework to form an opinion on whether the financial statements are presented fairly, in all material respects. Therefore, when the applicable financial reporting framework includes a definition of substantial doubt about an entity’s ability to continue as a going concern, that definition would be used by the auditor when applying AU-C section 570. Question: AU-C section 570 defines reasonable period of time as “a period of time not to exceed one year beyond the date of the financial statements being audited.” How should an auditor apply this definition when the applicable financial reporting framework requires management to evaluate for a period of time greater than one year from the date of the financial statements? Response: Auditing Interpretation No. 1, “Definition of Substantial Doubt About an Entity’s Ability to Continue as a Going Concern,” states that the auditor’s assessment would be for the same period of time as required by the applicable financial reporting framework in forming an opinion on fair presentation and on determining whether an emphasis-of-matter paragraph is required. Question: AU-C section 930, Interim Financial Information, states that one of an auditor’s review engagement objectives is to determine whether any material modifications should be made to the interim financial information to be in accordance with the applicable financial reporting framework. What are the auditor’s responsibilities when the applicable financial reporting framework contains explicit requirements concerning management’s responsibilities related to evaluating the entity’s ability to continue as a going concern for interim financial information? 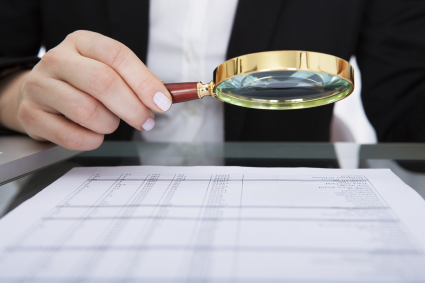 Response: The auditor is required to perform interim review procedures related to management’s evaluation of the entity’s ability to continue as a going concern and the adequacy of the related disclosures in the interim financial information. Background: AU-C section 570 establishes requirements for the auditor to consider the possible effects on the financial statements and the adequacy of the related disclosure in situations when the auditor concludes there is substantial doubt or when concern about substantial doubt has been alleviated after consideration of management’s plans. In addition, in assessing the adequacy of the disclosures, the related application guidance in AU-C section 570 provides examples of matters that management might disclose in the financial statements. Question: How should an auditor apply this guidance when the applicable financial reporting framework contains disclosure requirements related to management’s going concern evaluation? Response: Auditing Interpretation No. 1 requires the auditor use the applicable financial reporting framework to form an opinion on whether the financial statements are presented fairly, in all material respects. Therefore, when the applicable financial reporting framework provides disclosure requirements related to management’s evaluation of substantial doubt, the auditor’s assessment would be based on the disclosure requirements of the applicable financial reporting framework. Are you looking for a CPA Review provider? Surgent CPA Review offers a focused and streamlined approach to passing the exam. With small bite sized lectures that can be viewed anywhere, anytime and software that offers you thousands of practice questions, including task-based simulations, complete practice exams, and a study planner to help make the most of your valuable study time, you can feel confident to sit for the CPA Exam when the time is right. Call 800-778-7436 to get enrolled now, before it’s too late and before the exam changes!